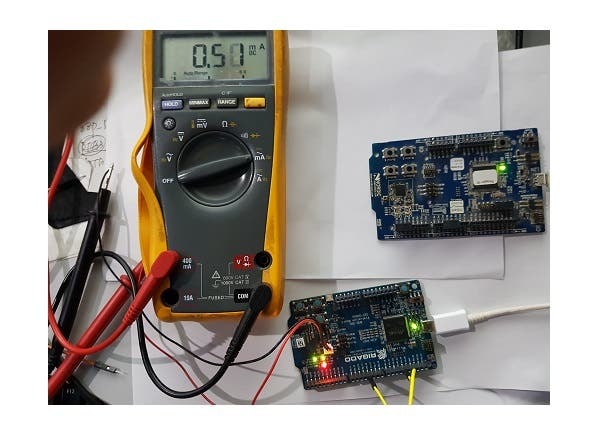 This project is for reducing the power consumption of Rigado-350 board's firmware working. Rigadp-350 works as Central & Peripheal device in the purposed system and it uses NRF52832 chip. Solved contents: - Central scanning function by interrupt is completed. - Peripheral function is completed. Dear Client. Thank you for your kindly visiting to my summary. As High-Skilled Embedded System Designer, Developer and Manager, I have full experience and rich knowledge of Embedded System Development. 1) Rich Schematics and PCB designer. - Over 10 years designing experiences using Altium Design Tool and Simulation Tools. 2) Firmware Development Experiences. - Rich knowledge and experiences at C/C++/Embedded C. - I like using various of MPU, ARM, PLD and embedded system equipment. MCUs : STM32 family, PIC16F/18F/33F, Atmega family, 8051 family, NRF51822/52832, MSP430, LPC, Atmel, CC2540/CC2541, CC3200, MPU6050, Wifi-MCUs : ESP8266/ESP32. Arduino Linux-Embedded: - Experience with Keil, IAR, Atmel Studio, QT IDE, Arduino, Visual Studio. - Rich experiences at variant peripherals. UART, I2C, SPI, USB, Ethernet, Bluetooth, Wifi, Gyro/Accelometor, GPS, GSM/GPRS, xBee, Zigbee. - LED controlling wih Neopixels. I'm always work on my client's timezone. Thank you for your time.